I’m a quiet beach person. I grew up near small islands and fishing villages. So I have a low tolerance of busy touristy beaches and over-trendy seaside destinations. Whitstable in Canterbury has the right mixture of low-key vibe and understated charm that are perfect for my birthday lunch. The more you frequent it, the more you are taken in by it. 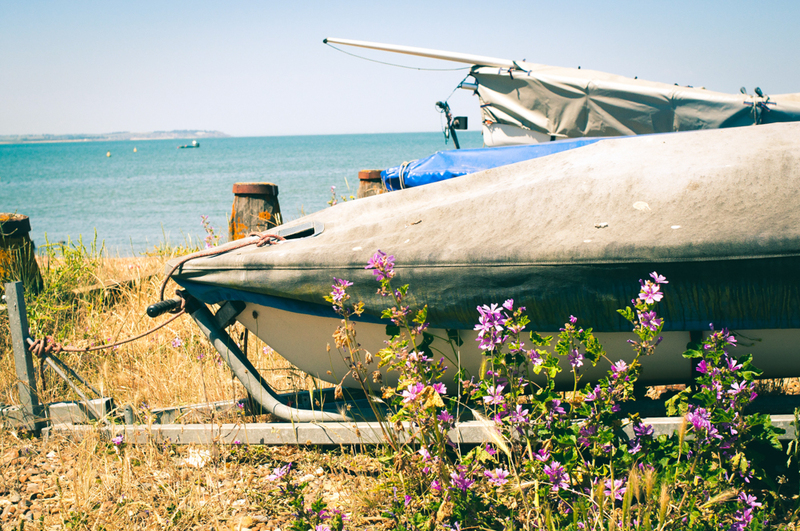 The beach is lined with boats and interesting wild flowers. 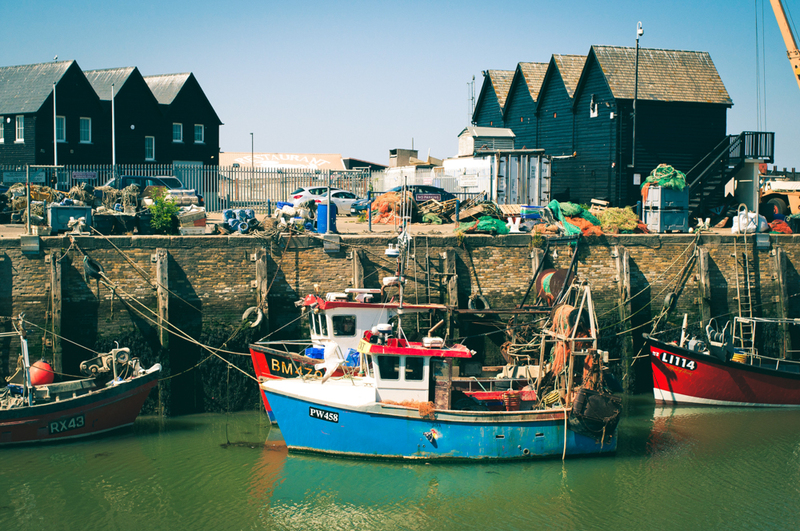 "Whitstable in Canterbury has the right mixture of low-key vibe and understated charm that is perfect for my birthday lunch. The more you frequent it, the more you are taken by it." Most importantly for me, it’s only 1.5 hour from London by train. The journey is straightforward and painless from London Victoria. Whitstable is not immune to tourists or townies like me, especially in the weekend. But you can easily find solace here. There is no gaudy big rides or fruit machines at the seafront. Instead you’ll find neat rows of blue beach huts and little sail boats lined up on the pebbly beach. The food scene is wonderful, if you prefer local simplicity. There is no shortage seafood stalls and fish-and-chips shops. Whitstable is known for its oysters that are available all year round. 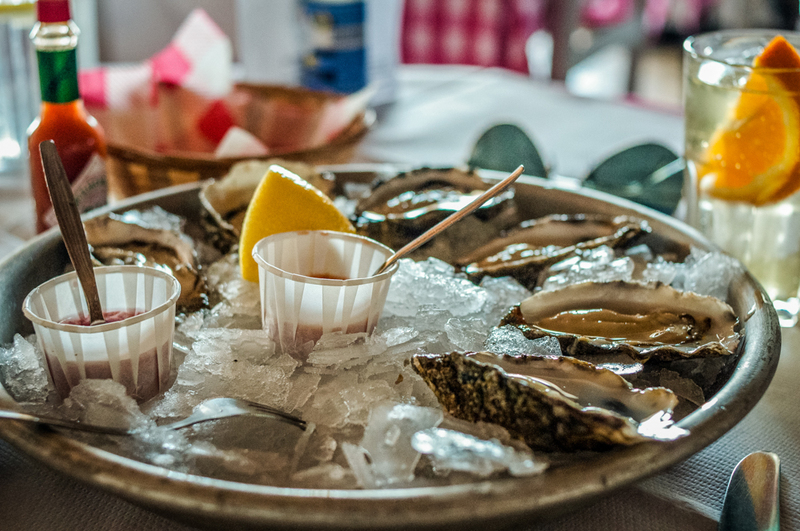 The region has been cultivating oysters since the Roman times. Here they are consumed without fuss or fanfare, served simply as how the locals would have them. My birthday treat consisted of a brisk walk along the seafront with my twin sister. We studied the seaside plants, pointed at seagulls, stared into the horizon and gawp at the RNLI volunteers pulling their boats in from the sea. 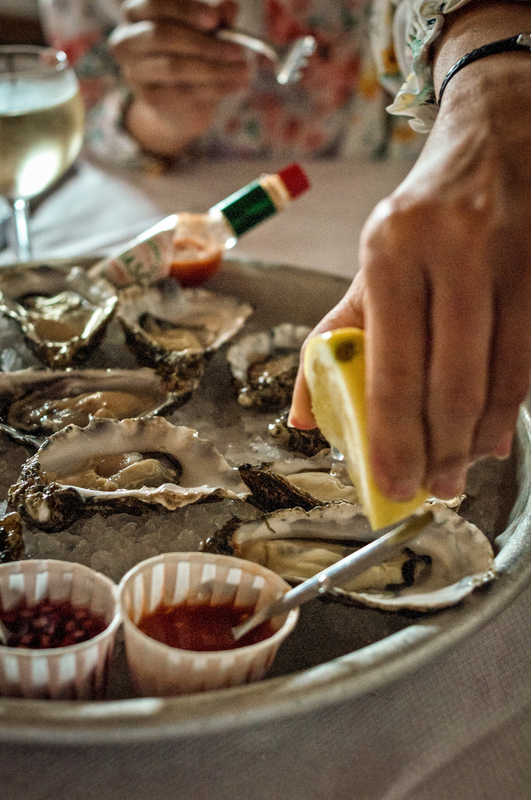 The Forge oyster shack is an unmissable experience. No fuss service with the best view of the sea. There are many types of oysters to sample here. 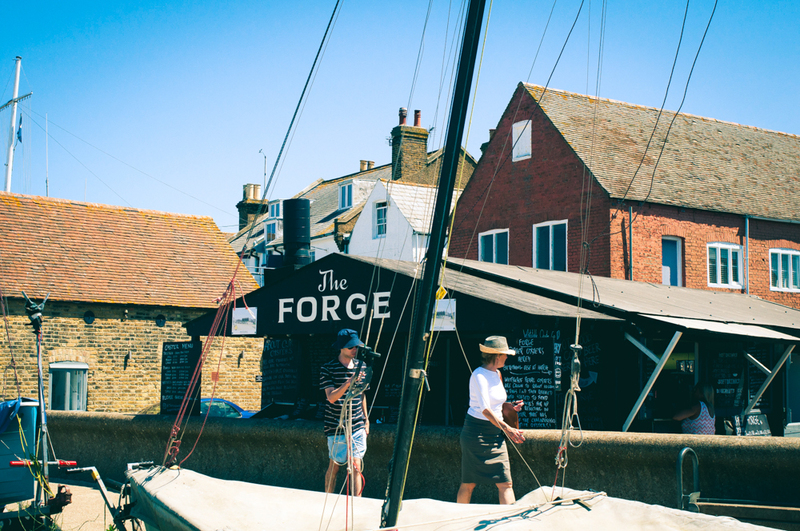 After we worked an appetite, we would stop by The Forge oyster shack near the Sea Wall. How do people have oysters around here? We asked the man who served us. “Knock it back, chew a couple of times and swallow.” Use either vinegar or lemon as condiments. Then we would have a seafood lunch at The Whitstable Oyster Company. We came here together for the second year now. I love the sea view from the restaurant. The menu came with a list of English wines. We would go for the local fish, after a helping of Whitstable oysters for the starter. It’s not a very busy restaurant, but it’s much better to book in advance to avoid disappointment. Special birthday lunch at The Whitstable Oyster Company. The RNLI Whitstable Lifeboat Station is a sight to behold. It's a handsome building at Harbour Street, facing a pier. The crew run regular rescue efforts off the Whitstable coast all year round. You can pop around to check their boats that are on display, or buy attractive gifts from the shop. The RNLI relies on public donations and served mostly by volunteers. The photo below was taken on a windy day. You can see clearly that it took significant and skilled effort to take the boats in and out of the pier. The RNLI Whitstable Lifeboat Station and the view from the main pier. 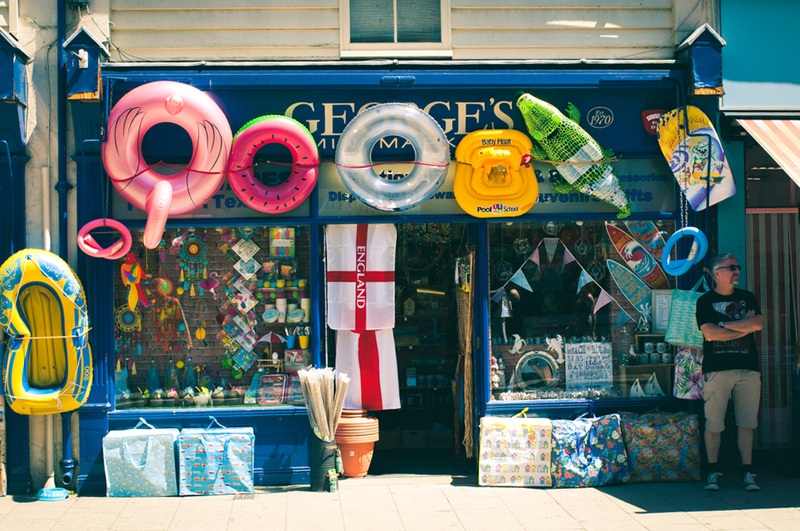 The Whitstable High Street is lined with independent local shops with interesting facades. It’s quintessentially English with a light bohemian touch. I couldn't help but peered into fish-and-chip shops, where the locals enjoyed their lunch away from the tourists. I must try it next time. It could get pretty bleak out here in winter or when the weather turns grey. But even then, the scenes are still stunning. This year it was calm and sunny when I visited. I discovered Whitstable entirely by accident over decade ago when I used to work at a travel publication. 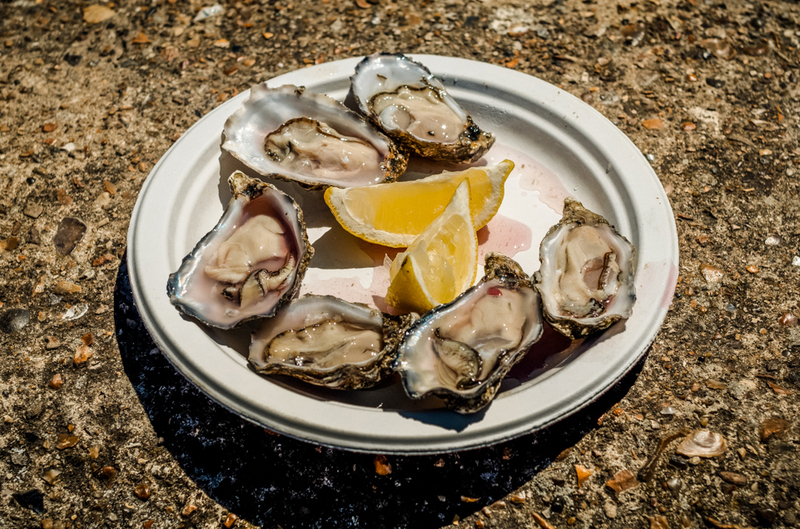 I came across a press release about the Whitstable Oyster Festival and decided to visit in autumn, because I was told that the English oysters are best consumed in the months that have an 'R' in it. You can have oysters throughout summer here. 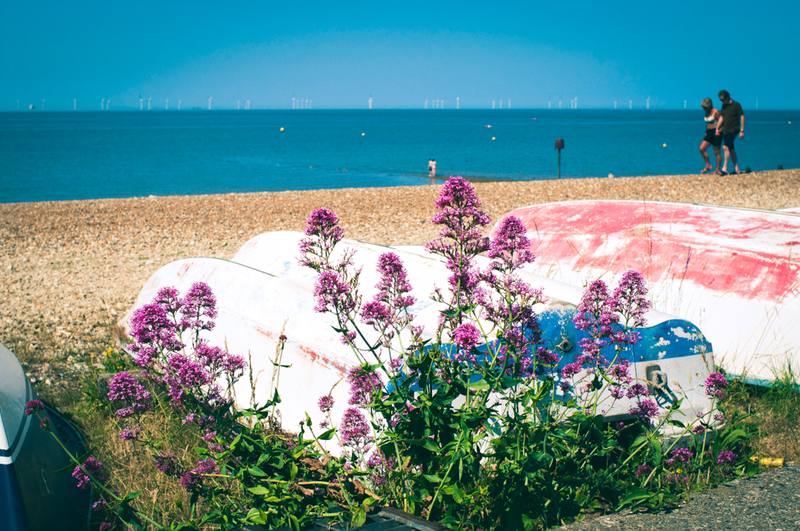 Whitstable is one of the most picturesque seaside towns in England. By late afternoon we left the West Beach and walked through the small residential alleys to the train station. A simple, perfect day completed. I always leave Whitstable feeling happier, because I know I will return again. Photography and words by © Zarina Holmes. Thoughts and visual notes on the journeys taken by Zarina Holmes, near and far. We didn’t have a proper walking map. Convinced by Siri that the trek was 1.6 miles, we ventured down the steep hills and crumbling cliffs, to walk 5 miles to Ventnor. Whitstable in Canterbury has the right mixture of low-key vibe and charm that is perfect for my birthday lunch. It’s also understated. The more you frequent it, the more you’ll be taken in by its charm. I witnessed Ngeruk during a trance ceremony in Bali, which is a self-stabbing ritual performed by the local Hindu devotees to express their gratitude to the Gods. It was nothing short of eerie and magical. Despite the appearance of horror, the ceremony made me understand about the balance between my inner light and darkness a lot better. I discovered that people don't go to Istanbul to escape the weather; people go there to experience its magic. I’ve lived in London for almost two decades and I think it’s time to get to know the local flora in the area.